So this happened…. I still need to sew the wefts together at the back. 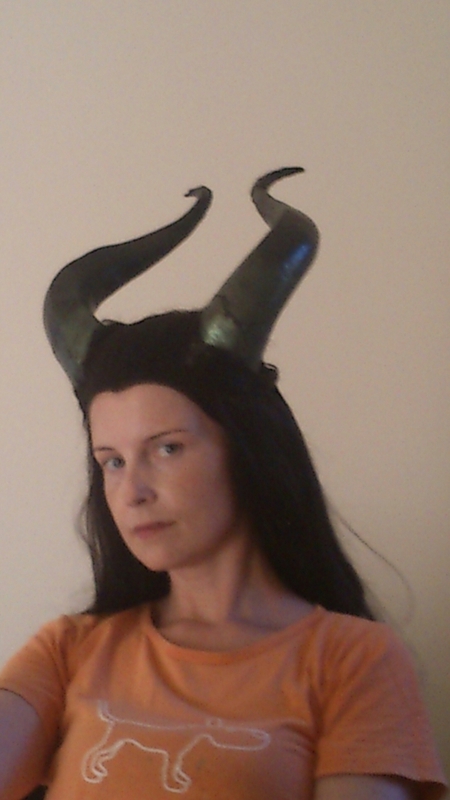 But I also have to file down the sides of the horn base- they push my ears out. Way too hot to wear these but hey. Good practice.